My not terribly regular blog, where I muse on many topics from the point of view of a woman of a certain age. Temptings dark and struggles deep. 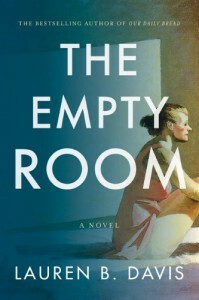 The Empty Room by Lauren B Davis follows a day in the life of Colleen Kerrigan, a woman of a certain age who has made bad decisions and had some bad decisions thrust upon her. She is not at first blush a very sympathetic character, but it is to Davis’ credit that we as readers get swept up, into her story. Using her spare, haunting prose, Davis creates landscapes that we can feel and smell. Some scenes in The Empty Room are so visceral, almost claustrophobic, I felt as if I was eavesdropping on conversations I wasn’t meant to hear. Scenes, that if you stumbled across them in real life you would look away, walk away, embarrassed and a little scared. Moments of bad judgement that are cringe inducing because we recognize our own transgressions. Lauren B Davis doesn’t flinch, duck or hide and that is what makes this story so compelling. 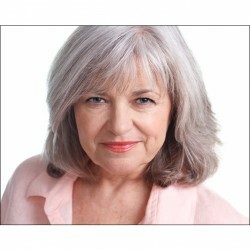 Colleen Kerrigan is being forced to confront her life as an alcoholic. We see a little of her history explaining how she ended up in the corner she has painted herself into. Explaining, not excusing. While Colleen wallows in the idea that everything is happening to her not because of her, Davis holds her hero fully accountable for her choices. Colleen may see herself as a victim, Davis doesn’t. Colleen is presented to us truthfully, full of weakness and possibilities. It seems strange to say I really enjoyed this book when the subject matter is so dark. But The Empty Room is a page turner; sad, sobering ( no pun intended ) and at times laugh out loud funny and full of beautifully drawn characters, nearly all of them flawed, because truthfully, aren’t we all?